From his wildly successful role on ABC's smash hit, Shark Tank, to his distinguished status as a Presidential Ambassador for Global Entrepreneurship, Daymond John has become globally recognized for his relentless commitment to promoting and supporting entrepreneurs. Daymond initially made his mark as the entrepreneur and branding expert behind the groundbreaking lifestyle brand, FUBU, which has eclipsed more than $6 billion in global retail sales. From the streets of Hollis, Queens, Daymond started a global movement from the basement of his mother's house by capitalizing on the then fledgling hip-hop culture. FUBU was a undoubtedly a key development for the streetwear market, which today is a $20 billion industry. Since then, Daymond has continued to challenge himself and the business world in which he operates. In 2009, Daymond was tapped by lauded television producer, Mark Burnett, to join the cast of a new business-reality concept, Shark Tank. Now, after 9 seasons, 4 Emmy Awards, multiple Critic's Choice Awards and millions of dollars in investments, the show has become one of the most successful business reality series of all time. 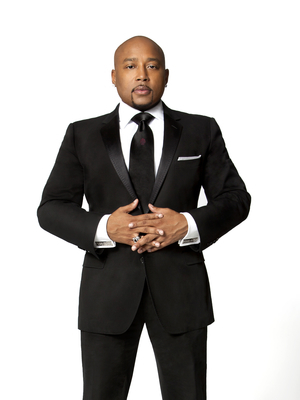 Over the course of the series, Daymond has been a mainstay of the cast of Sharks and is now affectionately referred to as, "The People's Shark." Resolved to share his hard learned lessons - from major successes and failures - Daymond has written four books, and become a 'New York Times Best-Selling Author'. While his previous books, Display of Power and The Brand Within were national best-sellers, The Power of Broke (2016) and Rise And Grind: Outperform, Outwork, and Outhustle Your Way to a More Successful and Rewarding Life (2018) are the only New York Times best-selling books from any of the Sharks. Beyond the brands, the television series and the books, Daymond's commitment to entrepreneurship has been celebrated on a global level. In 2015, he was named a Presidential Ambassador for Global Entrepreneurship and was part of an exclusive group who joined President Obama at the Global Entrepreneur Summit in Kenya. In March of 2016, Daymond accompanied The President on his historic trip to Cuba, which represented the first time a sitting US president visited the island since Calvin Coolidge in 1928. One of Daymond's proudest accomplishments is his continued fight against dyslexia. He has worked with the Yale Center for Dyslexia and he currently sits on the advisory board of Understood.org. Daymond has embraced his affliction allowing it to be a catalyst for his career as a highly sought after public speaker and author. As a dynamic speaker with more than twenty-five years of proven business experience, Daymond has become one of the most highly sought after speakers in the country. He regularly speaks at Fortune 100 companies, conferences, universities, and independent businesses alike. Whether he's speaking about entrepreneurship, marketing & branding, financial literacy or goal-setting strategies, Daymond's high energy presentations give audiences relatable advice and practical takeaways. Daymond has delivered keynote speeches for organizations such as General Mills, Johnson & Johnson, Samsung, AT&T, Yale, Georgia State University, Purdue University and dozens more. 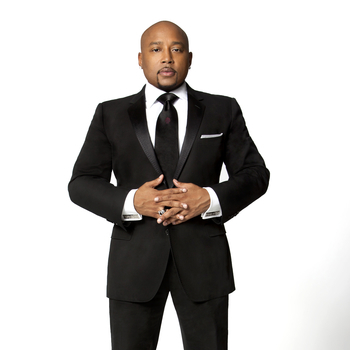 A recipient of more than thirty-five awards, including the Brandweek Marketer of the Year and Ernst & Young's Master Entrepreneur of the Year, Daymond serves as CEO of the brand consultancy, The Shark Group, which specializes in brand strategy and development, artist relations and talent development. Under Daymond's leadership, The Shark Group has re-written the script on how companies, brands and products can seamlessly work together to yield a sum greater than its parts. The Shark Group works with a wide range of businesses and brands, including Capital One, HSN, Forbes, Miller Lite, Gillette, Shopify and Infusionsoft and superstars such as Muhammad Ali, the Kardashians, Pitbull, Stan Lee, Carlos Santana, Jillian Michaels and others.